Backing up your driver is extremely useful and plays a vital role during any data disaster situation. 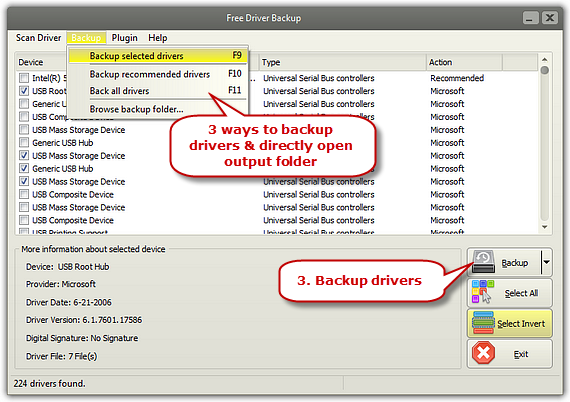 Fortunately, Free Driver Backup helps create backup of all the drivers of your system and restore them for safekeeping in case of computer crashes or other disasters. 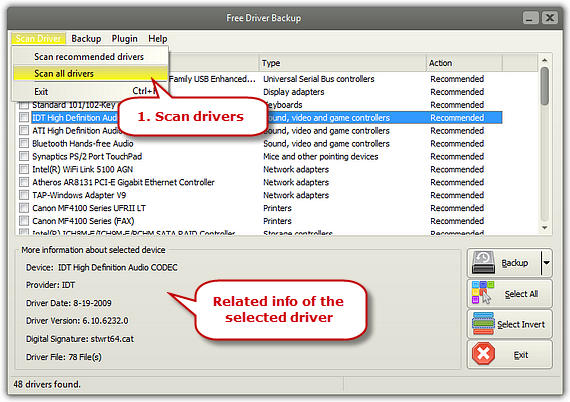 Launch Free Driver Backup and some recommended drivers will be displayed in the window. Choose one driver and you’ll see its related info like device, date, version, etc. If needed, click “Scan Driver” to choose “Scan all drivers” and the program will list all the drivers installed on your computer. Click “Select All” to choose all the drivers. The “Select Invert” command inverts the selection in the current window. That means all of the drivers which were previously selected are now unselected, and vice versa. If there was no selection before, the command selects the entire drivers. 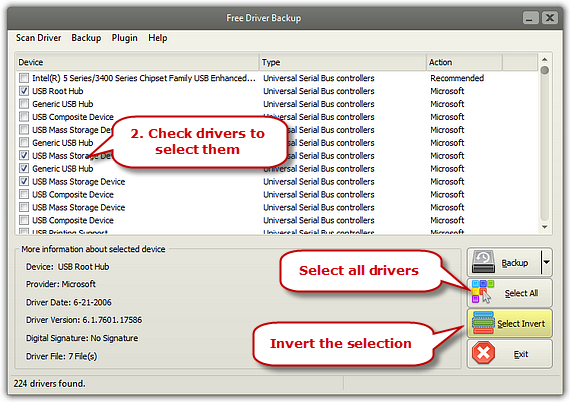 The program provides 3 ways to backup the drivers – “Backup selected drivers”/”Backup recommended drivers”/”Backup all drivers” and you can choose one according to you needs. You can also press hotkey F9/F10/F11 to perform the corresponding actions. Within several seconds, the backup process will be complete. Click “Backup – Browse backup folder…” to directly open the folder that stores the backed-up drivers.